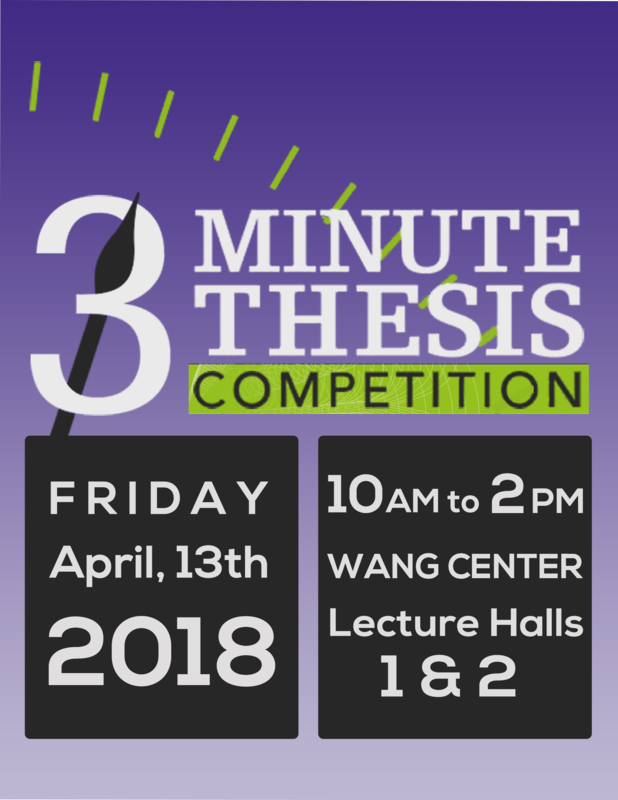 Stony Brook again will celebrate our students' exciting PhD research with Three Minute Thesis 2018. 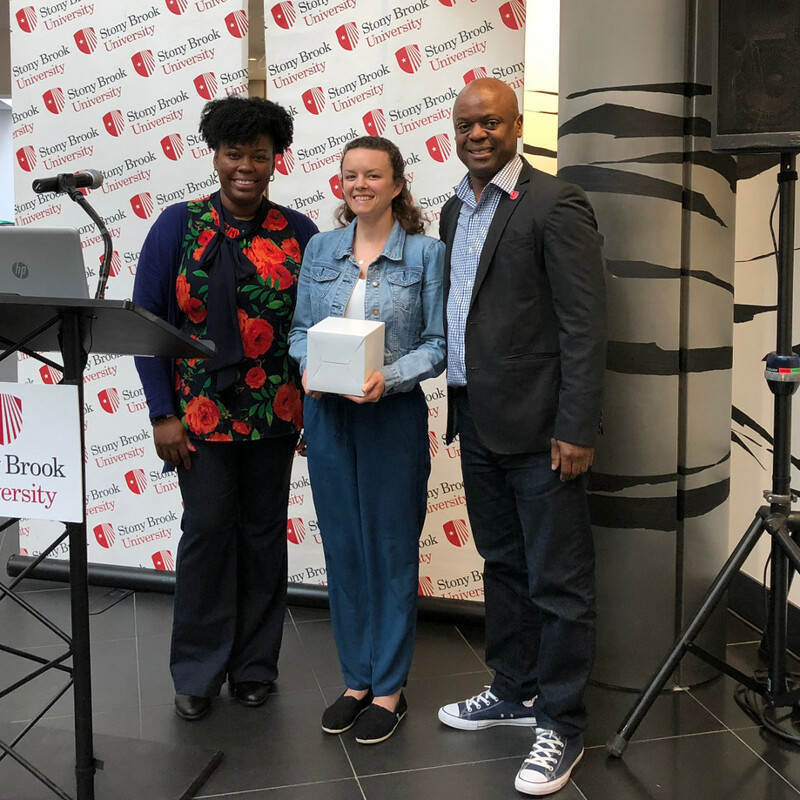 Three Minute Thesis, or 3MT ® for short, is an opportunity for SBU graduate students to present their dissertation research findings to a general audience in THREE MINUTES with only one powerpoint slide. Three Minute Thesis is an international event founded at the University of Queensland. The goal is for students to engage all their communication skills to make their research vivid and engaging while emphasizing its key point without jargon. Graduate students who compete will receive specialized coaching. Speakers will work with coaches from the Alan Alda Center for Communicating Science. 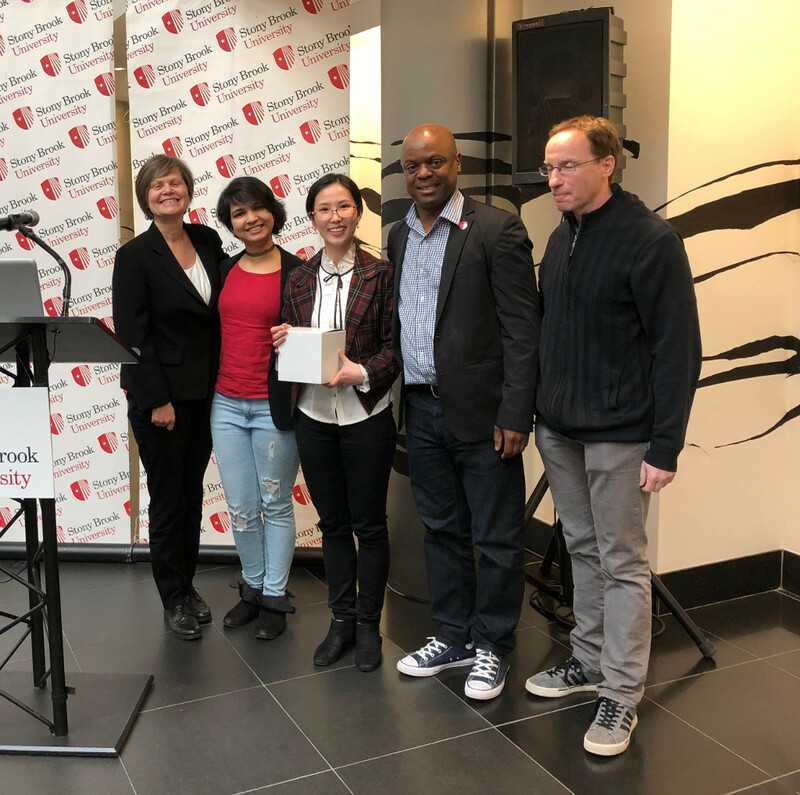 The nationally recognized Alda Center at Stony Brook works with researchers to help them communicate more effectively with the public, the media and others outside their own specialty. Selection as a speaker is a unique professional development opportunity that will enhance any student's skills and CV. While 3MT is a competition, SBU emphasizes the professional development derived from a cohort approach where students participate in small group coaching that encourages peer feedback and support. Prizes will be awarded. A panel of judges will evaluate the talks for how well they achieve 3MT's judging criteria. 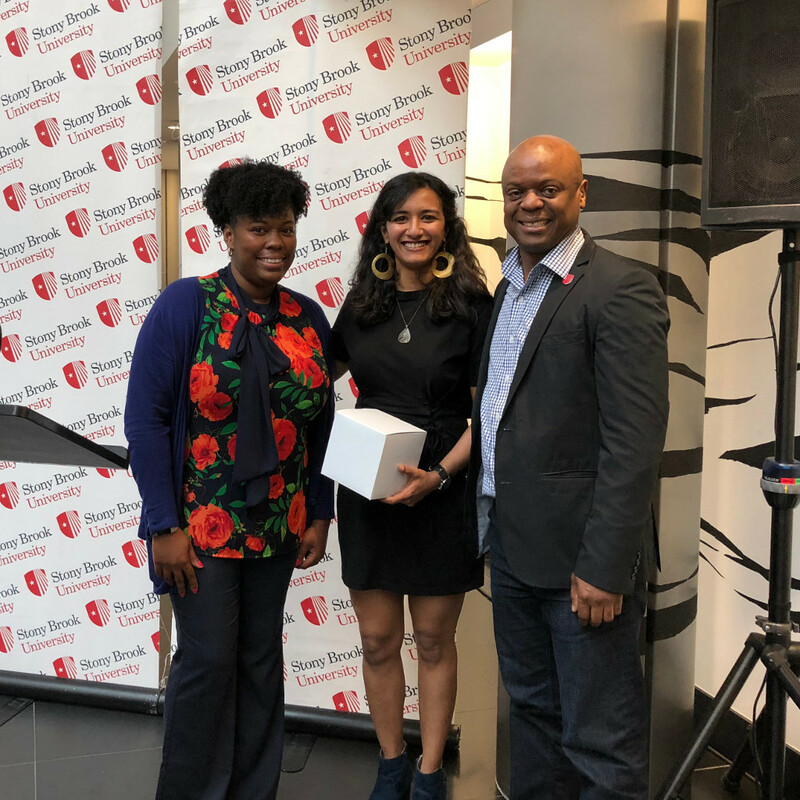 See an overview of SBU 3MT 2017 below in The Art of the Fast Pitch, as well as the winning talks from 1st place Zoya Vallari, 2nd Place Rajapillai Pillai, Third Place Elizabeth Trimber, and our People's Choice winners, Pratik Kumar, Elizabeth Trimber, and Zoya Vallari. 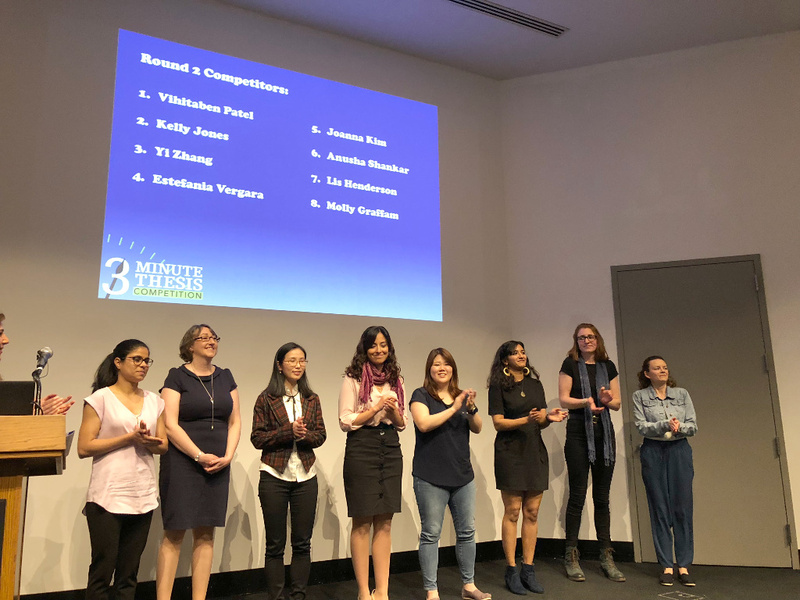 CONGRATULATIONS TO OUR 3MT WINNERS! Also, congratulations to all of our finalists! This is event is free and open to the public. Sponsors: Graduate Student Organization, Graduate School, the Career Center, Alumni Association, Center for Inclusive Education, and the Graduate Career Association. 3MT is a model developed by the University of Queensland. Stacey Greengold Science Education Keith Sheppard Those Who Understand, Teach...Chemistry! Yi Zheng Psychology Arthur Samuel How Do We Understand Foreign Accents? Judging: The talks will be evaluated by a panel of judges from a range of backgrounds and disciplines for how well the speaker engages a general audience of non-specialists and can convey the excitement and innovation of their research without jargon or distortion. See the full judging criteria. Prizes: Prizes will be awarded for 1st, 2nd and 3rd place, plus a People's Choice award selected by the audience. Students must stay for the luncheon announcement to receive their award. Eligibility: Competitors must be SBU graduate students who have advanced to candidacy (G5 or equivalent), and their research must be at a stage where findings, preliminary conclusions, and broader impact can be discussed. Students may be in any disciplinary field. Those in the Fine Arts, Humanities, and Social Sciences are particularly encouraged to participate. Students must affirm that their graduate advisor supports presentation of their research during speaker sign up. Presentation Guidelines: Talks will be three minutes long and may include only one powerpoint slide. Speakers should craft a talk that distills the heart of their research for a general audience who may not be specialists, in the style of a TED talk. Speakers will receive individualized coaching on their presentation from experts at the Alan Alda Center for Communicating Science. See the official rules for more information. Training Sessions: The first session on March 6 will provide an overview of best practices for honing one's message for a general audience. In the second and third sessions, speakers will receive coaching on their individual talks in small groups. For each session, speakers may indicate a preference for one of two small-group sessions. Session 2 date is March 20, and Session 3 dates are April 2 or 3. Speakers are expected to attend all three sessions, although students who have taken JRN501: Distilling Your Message may opt out of Session 1. See training dates and times below. Coaching takes place in small groups where peer feedback and support is encouraged while students workshop their draft presentations. March 20, 11:30 am - 1:30 pm. April 3, 1:00 am - 3:00 pm. *Students who have already taken JRN501: Distilling Your Message may opt out of Session 1. Go to the Sign Up form and enter your contact info. Affirm that your graduate advisor supports you presenting your work in the 3MT competition. Agree to participate in three training sessions to be held on March 6 and March 20 and April (2or3). You can indicate a preference of one of the two small-group coaching times for Sessions 2 & 3 ( see times above). After submission, you will receive confirmation on whether you have been selected to compete. At that time, we will request a title from selected speakers. Competitor Selection: The number of competitors is limited, therefore, competitor slots will be allocated on a first come, first served basis. They will go quickly, so sign up ASAP! QUESTIONS: Contact Kathleen Flint Ehm, Director for Graduate and Postdoctoral Professional Development, kathleen.ehm at stonybrook.edu or 631-632-7531.